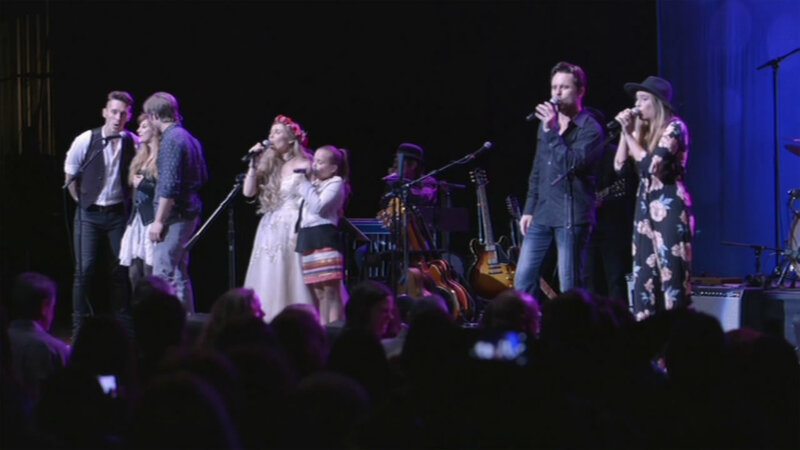 SAN JOSE, Calif. (KGO) -- It's boot stompin' time for fans of the ABC drama "Nashville," with several of the actors taking the stage to sing in the South Bay. The Nashville in Concert tour kicks off Thursday night at City National Civic Theater in San Jose. Five stars on the show will perform, including Charles Esten, Clare Bowen and Chris Carmack. ABC7 News was in San Jose Wednesday night when the singers arrived. They held a live Twitter chat with their fans during tonight's Nashville episode. "It builds a community not just between us, but between them as well," said Charles Esten of Nashville. "They end up all knowing each other so when we get together on a live tweet they're not just talking to us, they're talking back and forth to each other." The tour will stop at 17 cities in all. Thursday's San Jose concert is the only one in the Bay Area. And a reminder, you can watch "Nashville" Wednesday nights at 10 p.m. on ABC7. Click here to buy tickets to the Nashville in Concert show.